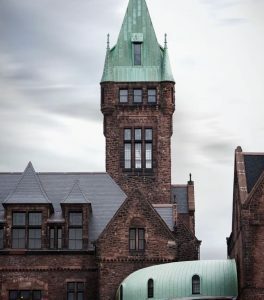 At the time of construction 1872-1880, the Buffalo State Asylum in New York was a state of the art building. 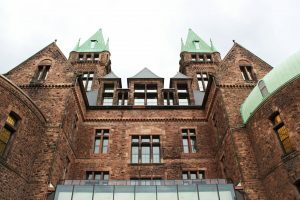 The name changed in 1890 to Buffalo State Hospital and in 1972 was named Buffalo Psychiatric Center. During the late 1960’s the entire ward buildings with the exception of the Female Ward 1 were replaced with 3 tab asphalt shingles, which were replaced again in 1993. Originally the main building was covered with gray or black slate shingles. 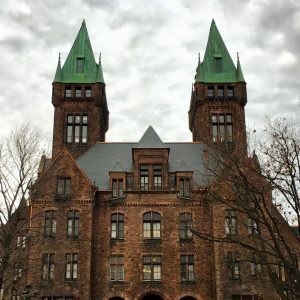 Designed by famous architect Henry H Richardson, whose Richardson Romanesque style included hipped and gabled steeply pitched slate roofs. The landscape architect Frederick Law Olmstead, who designed Central Park, created therapeutic gardens for the patients. Over time, the buildings began to deteriorate and patients were moved to a new facility in the 1970s. The building was eventually abandoned. In 1973 the Richardson Olmstead Complex was listed on the National Register of Historic Places and in 1986 named a National Historic Landmark. 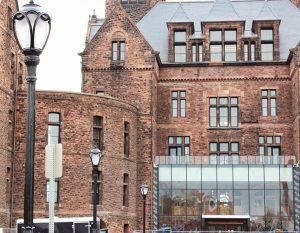 In 2006, then-Governor George Pataki, created a board of directors to save this architectural treasure and bring it back to life. Between 2014-2017 was the first phase of redevelopment of the tower building and two flanking buildings. 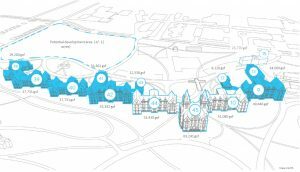 The first phase of restoration was only a third of the 480,000 square foot complex and cost $56.4 million. 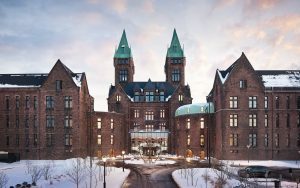 The new tenants are the Hotel Henry, an 88 room boutique hotel, conference center and Lipsey Buffalo Architecture Center. In 2015, we supplied 152 squares of our North Country Unfading Black natural roofing slate (20” x 15” x ¼”, 20” x 12” x ¼”, 20” x 10” x ¼” and 18” x 9” x ¼”).